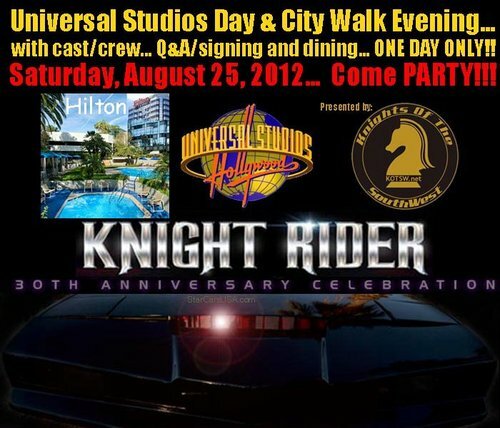 Knight Rider 30th Anniversary Celebration Party this Saturday! Just a reminder there's a 30th Anniversary Celebration event at Universal Studios Hollywood THIS, Saturday August 25th. Organized by the Knights of the Southwest, fans are gathering to spend some time in the theme park, then meeting up some celebrity VIPs from the show for Q&A, autographs, dinner and more. Check out more details on their facebook event page!